So tomorrow I'm moving to the East Village. 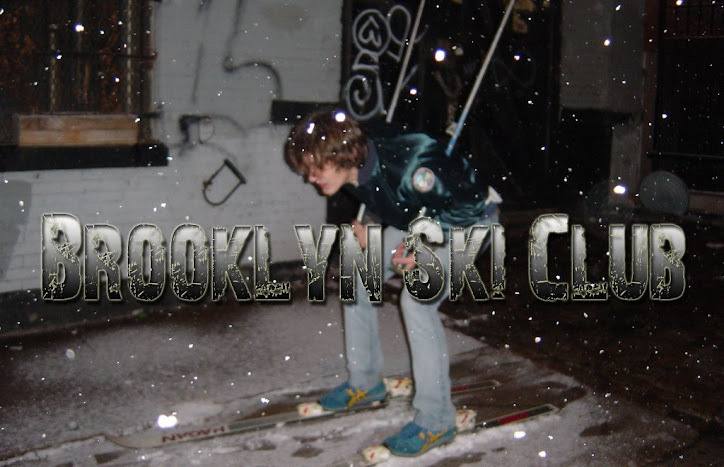 I've been debating whether or not this move warrants a name change to Brooklyn Ski Club. I've decided that I will not change the name. So BSC won't be EVSC anytime soon. So tonight is my last night in South Williamsburg. I'm going to miss Brooklyn but I've wanted to live downtown since I moved to NYC 5 years ago. If anything this will make BSC a better site because I'll be able to make it out to more shows and parties. You'll still be seeing me at all the great restaurants and parties in Brooklyn - I'm only moving one stop away. sellout! seriously though, welcome to the hood.